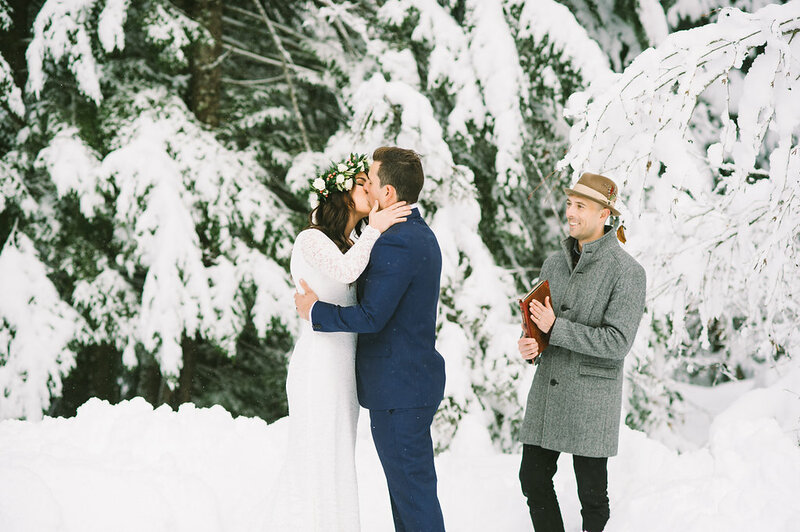 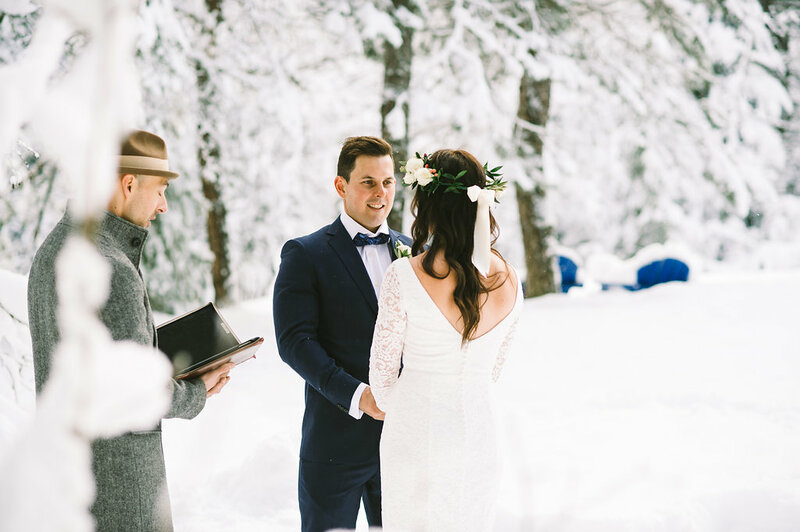 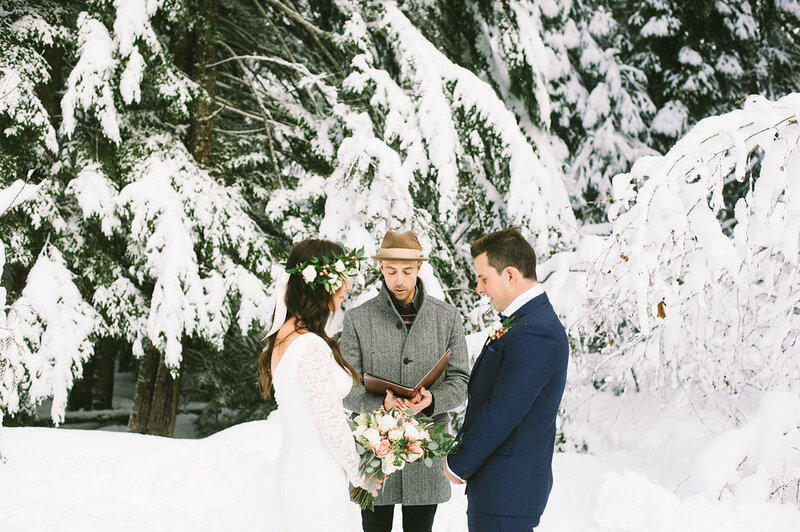 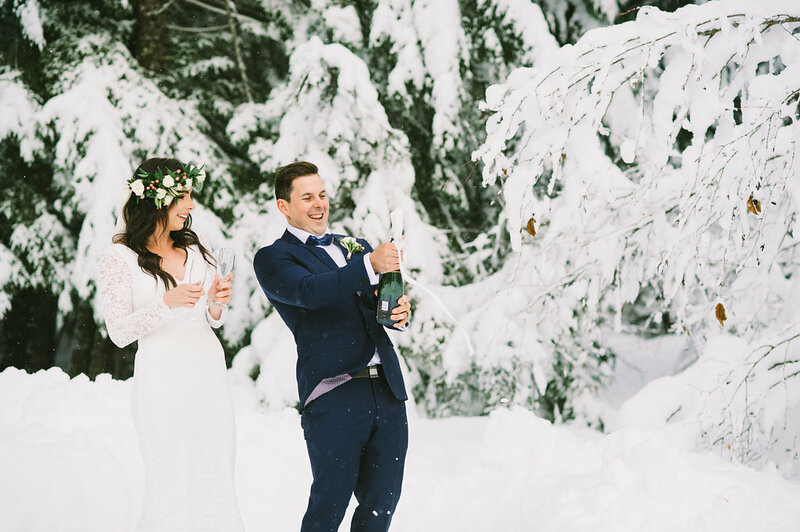 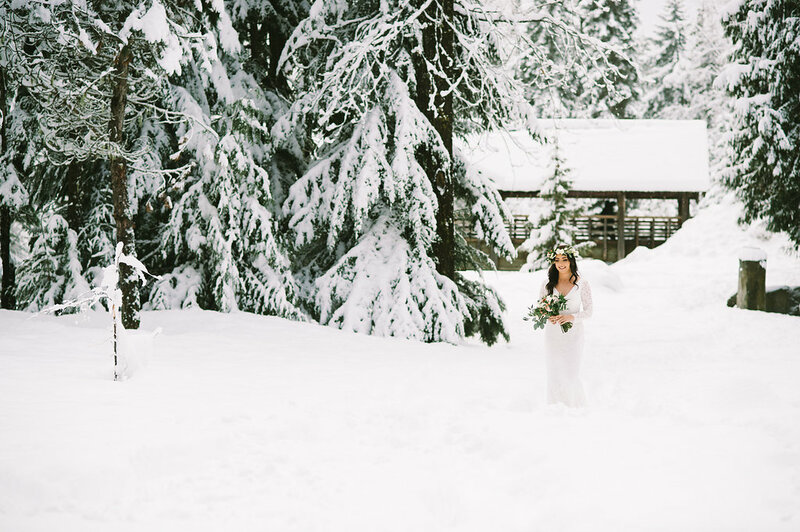 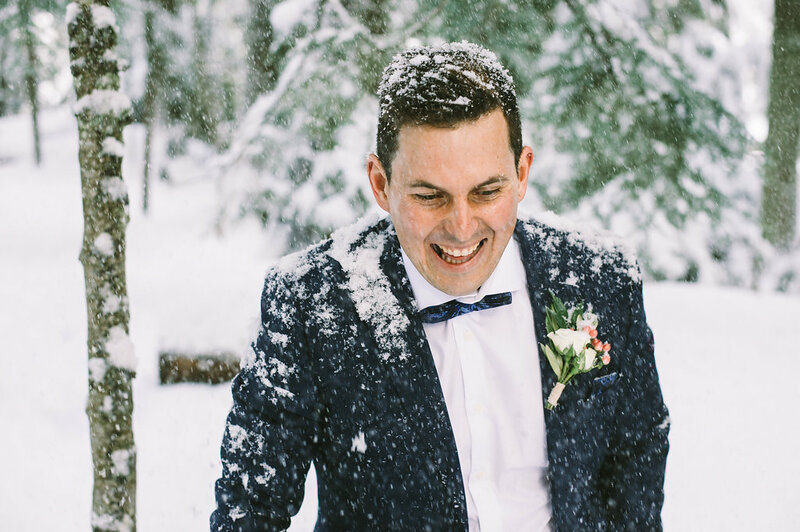 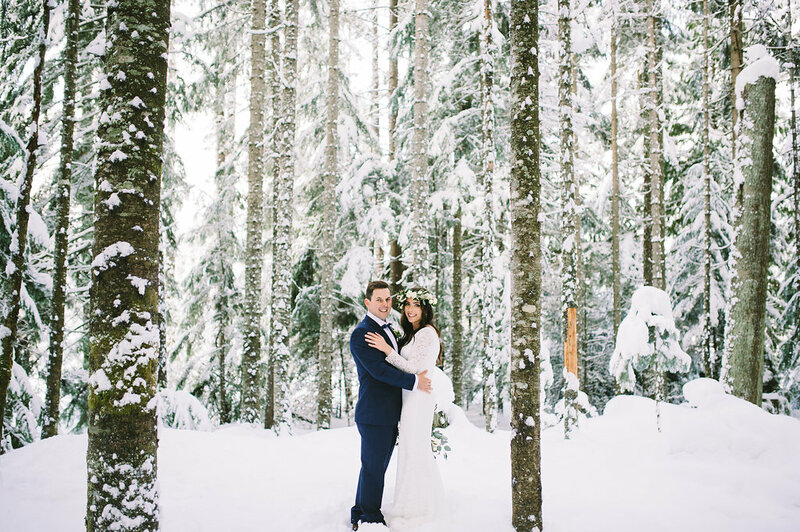 An intimate and snowy Whistler wedding was exactly what this couple had dreamt of, away from their busy lives and focusing solely on being together. 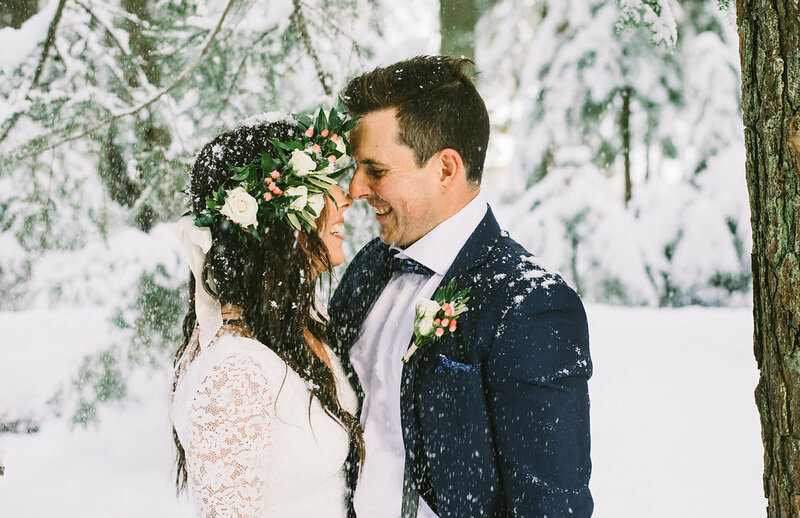 Using the gorgeous landscape as their main accessory, Sophie and Allan exchanged vows to one another both sharing the mantra that “less is more” on their special day. 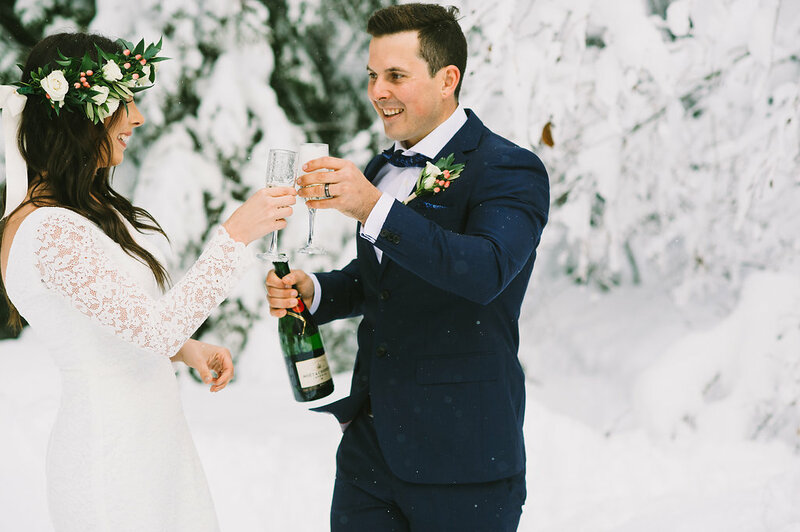 Sealing the ceremony with a kiss and a champagne toast before a stroll through the snowy woods were cherished moments for the couple before they began their Whistler honeymoon just a few minutes away. 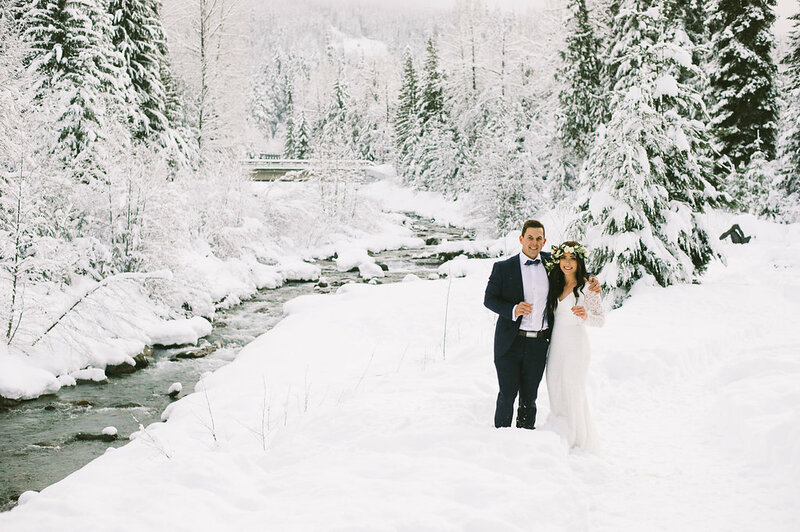 In a city that offers snowboarding, incredible food and magical day trips to Scandinave Spa, Sophia and Allan were able to truly relax and enjoy each other’s company before heading back home to share beautiful elopement photos with friends and family.